Pink and red are everywhere from Baby Pink through to Burgundy and Scarlet. The best way to inject these colours is to use them as accessories. They add a gorgeous pop of colour to the simplest of outfits. Here are a few of my favourites and down below which options to choose to suit your colouring. 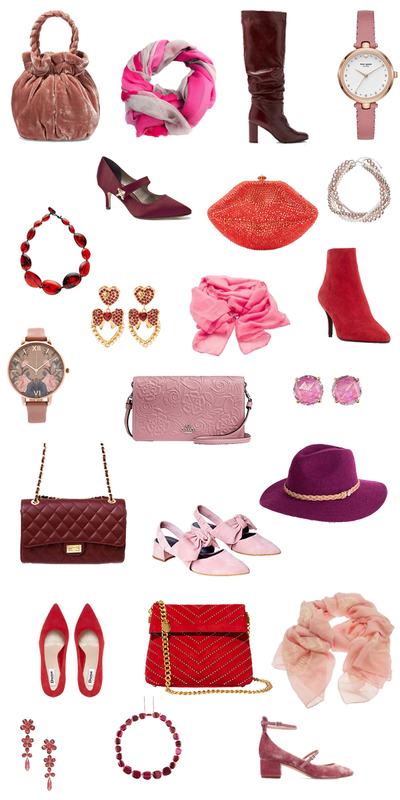 Will you be adding red or pink to your Autumn wardrobe? For more information on wearing colour why not download my free ebook? Next Post Are You Too Old for Fashion?